There are few cities in the world that can replicate the culture, history and excitement of Berlin. From a historic perspective, Berlin has been around since at least the 13th century, and it has also served as the German capital, off and on, since 1870. Today, the city is bursting with things to do and see, and it is a top pick for travelers from around the world. Badly damaged in the final years of World War II, the city has reconstructed itself greatly. The capital city of Berlin is particularly unique because up until 1989, it was separated by a wall. The Berlin wall divided the city into two nations, with West Berlin being a democratic part of Germany and East Berlin falling under communist control in East Germany. As a result, the city itself is incredibly diverse, and the architecture, cuisine and layout of Berlin’s neighborhoods can differ depending on where you are. 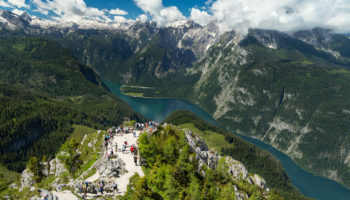 There is an extensive train system (S-Bahn) that stops throughout Berlin and connects the city to countless other European destinations, and visitors can also rely on the underground subway system (U-Bahn), trams on street level and an impressive bus system. You may find the U-Bahn network slightly less logical and convenient to use than in other European capitals, as Berlin’s troubled history made its mark on it and many key locations remain unconnected, which is why using buses, trams and S-Bahn to complement the U-Bahn is probably necessary for efficient travel throughout Berlin. However as those systems are fully integrated you can do so with only one ticket. 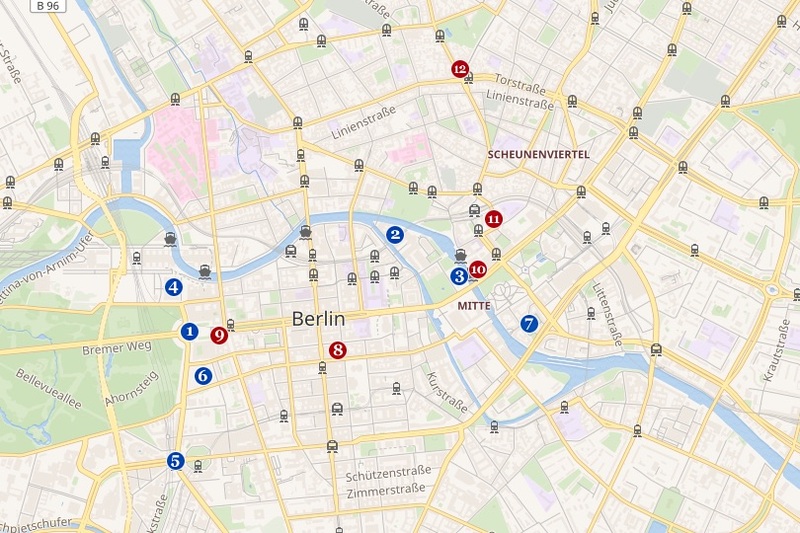 To find the best place to stay in Berlin, it is important to think about your needs as a traveler. Do you want to stay in the very center of the city, and be within walking distance of major attractions and museums? If you’re on a budget, staying in the eastern sections of the city could be a savvy way to save money. You should also dwell on nightlife options, culinary choices and the atmosphere that will make your vacation memorable. 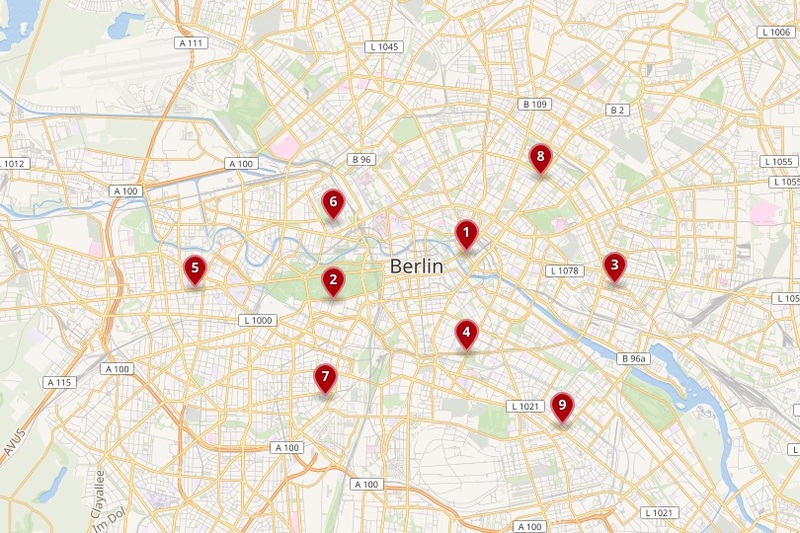 Why Stay in the Mitte area? The historic center of Berlin is widely known as Mitte, or the middle, but that large district can be broken up into three smaller neighborhoods as well. One of these neighborhoods is also known as Mitte, and is can best be defined as the area bordered by Unter den Linden and the Tiergarten district. Before WW2 and the reunification of the city, this area was, in fact, the center of Berlin and it has regained its former glory to such an extent that many visitors never visit the western side of the city. The oldest and most historic part of Berlin, Mitte has numerous cultural attractions and ever-expanding restaurant, club and arts scenes. If you really want to be where the action is, stay in Mitte. Perhaps the biggest cultural attractions in Mitte, is the Museumsinsel, or Museum Island. This is a part of the city that is packed with incredible museums and galleries, and visitors can actually purchase a single ticket to see them all. Also in the Mitte is the Nikolaiviertel, a neighborhood that was reconstructed by the former DDR government but does a wonderful job of capturing the style of historic German architecture. You might also want to tour the Spandauer Vorstadt, which was founded in the 17th century and eventually became the hub of Jewish culture in Berlin prior to World War II. And than there is the stunning Brandenburg Gate, which might just be the most recognizable landmark in the entire city. The grand boulevard called Unter den Linden, starts at the Brandenburg Gate and extends east towards the Berliner Dom. 1 Brandenburg Gate – The only surviving Berlin city gate and the most famous symbol of the city. 2 Museum Island – A unique collection of 5 museums, including the Pergamon Museum located on a small island in Berlin’s Spree River. 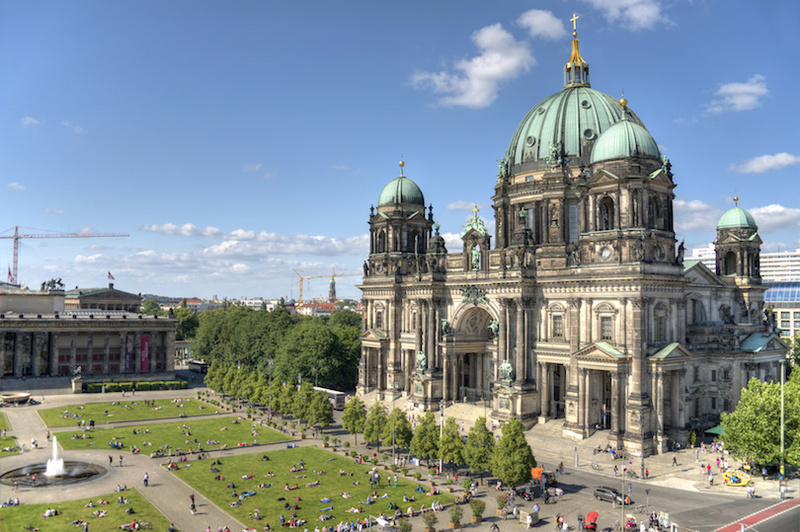 3 Berliner Dom – The city’s Protestant cathedral and the burial place of the Prussian kings. 4 Reichstag – Located on the border with the Tiergarten area. 5 Potsdamer Platz – The old heart of Berlin serving as a junction between the old city center in East Berlin and what was formerly the new West Berlin. 6 Memorial for the Murdered Jews of Europe – A vast Holocaust memorial designed by the American architect Peter Eisenman. 7 Nikolaiviertel – A reconstructed neighborhood that demonstrates the historic German architecture. 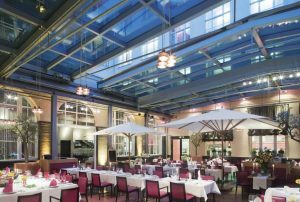 8 Regent Berlin – This elegant award-winning hotel overlooks Gendarmenmarkt Square, which is considered by many to be Berlin’s most beautiful square. The Regent Berlin is also situated within easy walking distance to many of Berlin’s top attractions, including the Brandenburg Gate and the Opera House. You can choose from 156 elegantly appointed rooms or 39 luxurious suites. In these rooms and suites, you’ll find Biedermeier furniture and marble bathrooms. Plus, each room boasts a private balcony. The hotel’s restaurant, the Fischers Fritz, is a true standout and was awarded two stars by the Michelin Guide in 2016. 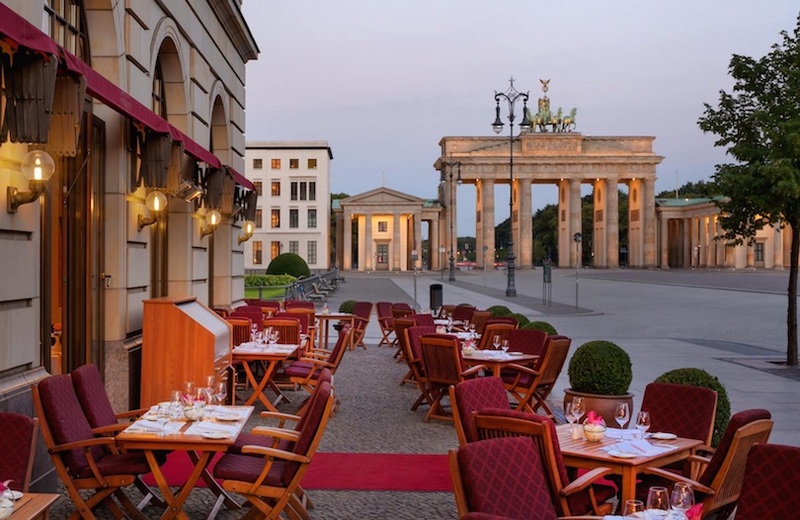 9 Hotel Adlon Kempinski – This luxurious five-star hotel is located in Pariser Platz Square, very close to the Brandenburg Gate and Checkpoint Charlie. It is also just a few minutes away from Berlin’s central train station. Rooms in this hotel are elegantly appointed and have Wi-Fi access to the Internet. The Hotel Adlon Kempinski offers many fine amenities for its guests, including an indoor pool, a spa and a state-of-the-art fitness center. In addition, this hotel also boasts three fine-dining restaurants, including Lorenz Adlon Esszimmer, which has earned two stars from the Michelin Guide. 10 Radisson Blu Hotel, Berlin – Hotels are not normally tourist attractions, but the Radisson Blu Hotel contains a major draw in its lobby for visitors. It’s called the AquaDom, and it is the biggest freestanding cylindrical aquarium in the world. In the middle of this 82-foot-tall aquarium is a transparent elevator. This hotel is also centrally located as it is situated between Alexanderplatz and Museum Island. Rooms in the Radisson Blu are done in a contemporary style and guests have access to the Internet via free Wi-Fi. This hotel also features a spa, a fitness center and a restaurant that offers ethnic-inspired cuisine. 11 i31 Hotel – The i31 is a mid-range boutique hotel that is centrally located and very close to many of Berlin’s attractions and to the Berlin Hauptbahnhof train station. Your room rate includes free Wi-Fi and a mini-bar with free soft drinks. Rooms have been individually designed and are elegant and contemporary in feel. The i31 Hotel has a gym with views of the city, a sauna and a lovely garden with a fish pond where you can relax after a long day of sightseeing in a comfortable lounge chair. 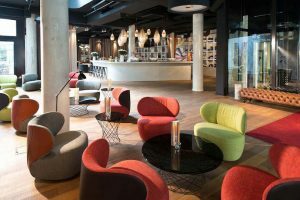 12 Ibis Styles Berlin Mitte – If you’re in need of a hotel that will be easy on your wallet and is close to many of the area’s top attractions, the Ibis Styles Berlin Mitte would be perfect for your next getaway or business trip. It is located very close to the Alexanderplatz and Hackesche Hofe, and there is a U-Bahn station located right across the road. Complimentary breakfast and free access to Wi-Fi are included in your room rate. In addition, grabbing a bite to eat is easy as the Ibis Styles Berlin Mitte’s is located in a neighborhood with many restaurant and bar choices. With so many great things to explore in the Mitte, you might assume that it is the best place to stay while in Berlin. However, there are some drawbacks. The Mitte is a very expensive area of the city, both in terms of accommodation and when buying food, drinks or souvenirs. Also, it is important to understand that this is the tourism hub of the German capital, so be prepared to see more tourists than locals. The Mitte can also feel very different between day and night. By day, crowds of visitors and guided tours are in front of every attraction, but in the evenings, particularly in the winter, things slow down considerably. 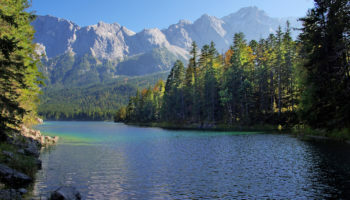 The word Tiergarten means zoo in German, so it should come as no surprise that the Tiergarten District of Berlin is home to the enormous Berlin Zoo as well as the city’s impressive aquarium. The real center of the Tiergarten district, however, is the enormous public park in its center. 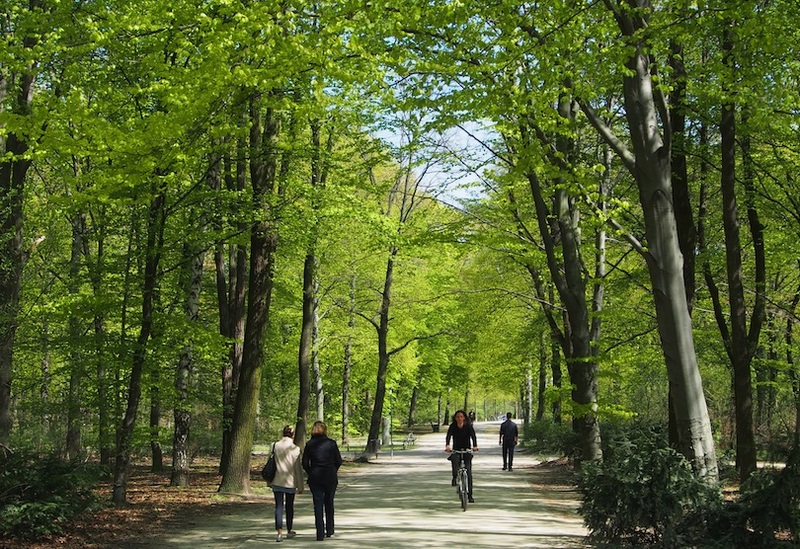 The Tiergarten park is Berlin’s answer to Central Park in New York City, and it is an incredible green space where locals picnic, jog and sightsee. The park itself is connected to the center of the city, Mitte, which means that it is close to the action and convenient for visitors. 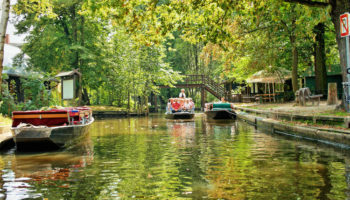 Tiergarten is arguably the only district of Berlin, aside from Mitte, with a great number of world-class historic attractions. To start, Tiergarten is where you’ll find the Reichstag Building and the Congress Hall, two of the most important buildings in German politics. Nearby is the Schloss Bellevue, a palace that has served as the residence of the German President for more than 20 years. Also found in Tiergarten is the Siegessäule, or Victory Column, which was designed in the 19th century to celebrate the military victories of Germany. 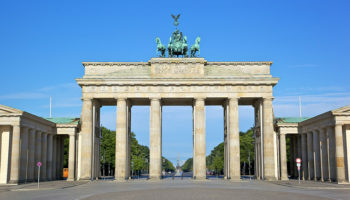 Even more must-see attractions in Tiergarten include the Bauhaus Archive Museum of Design and the Berlin Philharmonic Building while the Brandenburg Gate sits right at its border with the Mitte area. 1 Victory Column – This famous landmark is crowned by a gilded statue of the goddess Victoria in celebration of 19th-century Prussian military triumphs. 2 Zoological Garden – One of the largest zoos in the world. 3 Schloss Bellevue – Official residence of the President of Germany since 1994. 5 Gemaldegalerie – A museum that boasts one of the world’s most important collections of European painting ranging from the 13th to 18th century. 6 Bauhaus Archive – This museum contains the world’s largest collection of art, design and literature relating to the Bauhaus School. 7 Reichstag – This imposing building houses the Federal German Parliament or “Bundestag” and was completed in 1894. It has undergone considerable restoration and alteration, including the addition of a spectacular glass dome. 9 Grand Hyatt Berlin – The Grand Hyatt Berlin lives up to the grand in its name. It is a visually appealing hotel that boasts many fine amenities, including the Club Olympus Spa & Fitness, a pool, and a fitness gym. The Grand Hyatt Berlin also has three onsite restaurants, the Vox, Tizian Lounge and mesa restaurant. And its Vox bar features live DJs and serves more than 300 different kinds of whiskies. The luxury hotel’s 342 rooms are spacious and decorated with cherrywood furnishings, and Wi-Fi access to the Internet is free. The Grand Hyatt Berlin is located on the Potsdamer Platz, close to Tiergarten Park and the Philharmonic Hall. 10 The Ritz-Carlton, Berlin – This classy hotel is centrally located on the Potsdamer Platz, making it an excellent base for exploring this exciting city. It is, for example, within walking distance to the Brnadenburg Gate and to the Reichstag building. This luxury hotel is also within easy walking distance from S-Bahn and U-Bahn stations and close to numerous dining and entertainment options. The Ritz-Carlton Berlin also boasts a number of great amenities, including an indoor pool, fitness center, a restaurant and three bars where you can quench your thirst. 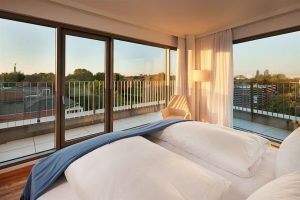 11 Pestana Berlin Tiergarten – This modern and stylish hotel is located within walking distance of many of Berlin’s top attractions, including the Tiergarten park. The rooms are spacious and have been designed to be non-allergenic and, thus, have wood floors instead of carpeting. And because the comfort of its guests is paramount to the Pestana Berlin Tiergarten, the bathrooms also boast underfloor heating. This hotel also has free Wi-Fi access to the Internet, a fitness center, sauna, steam bath and a pool. 12 Hotel Sylter Hof Berlin Superior – If you are in need of a centrally located hotel that won’t break your bank, but offers you wonderful amenities, you’ll want to check out the Hotel Sylter Hof Berlin Superior. It has spacious and well-appointed rooms, and Wi-Fi is free. In addition to the traditional rooms and suites offered by most hotels, the Hotel Sylter Hof Berlin Superior also has serviced apartments available, as well. This hotel has an onsite restaurant and a bar. The Hotel Sylter Hof Berlin Superior is located very close to the zoo, and it is also within easy walking distance to an U-Bahn station. 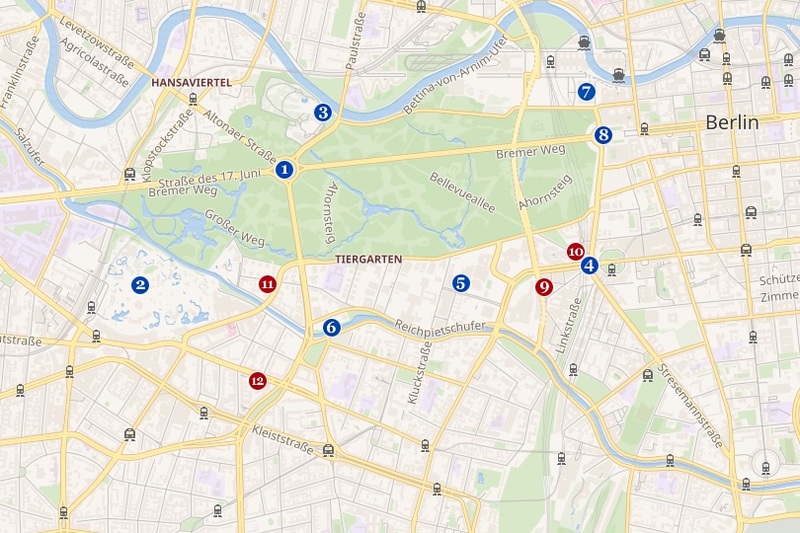 Thanks to the relatively central location of Tiergarten, and its abundance of attractions, accommodation is readily available. However, options for those on a budget can be hard to come by. It is also worth noting that while there is an unending array of things to do, see and explore by day, Tiergarten can feel empty at night. 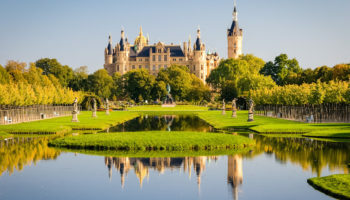 That’s because many of the locals head to other areas of the city for the nightlife, and even some tourist restaurants in Tiergarten close early and cater primarily to daytime visitors. The district of Friedrichshain was once a central part of East Berlin, and that history is instantly recognizable when you visit the area. This is a popular place for young travelers to stay, because it tends to be more affordable and filled with a youthful, eclectic and artsy population. The bucket list attraction in Friedrichshain is the Karl-Marx-Allee, which once served as the major thoroughfare in the city of East Berlin. Today, the best way to explore the street is on foot, admiring the DDR-era buildings on either side as well as the surrounding sculptures, monuments and lakes. A major reason to stay in Friedrichshain is that it contains the longest remaining stretch of the Berlin Wall, much of which has been transformed into what is known as the East Side Gallery. You can walk alongside nearly a mile of the wall that has been treated like a canvas, stopping to check out the thousands of works of art on the wall itself. 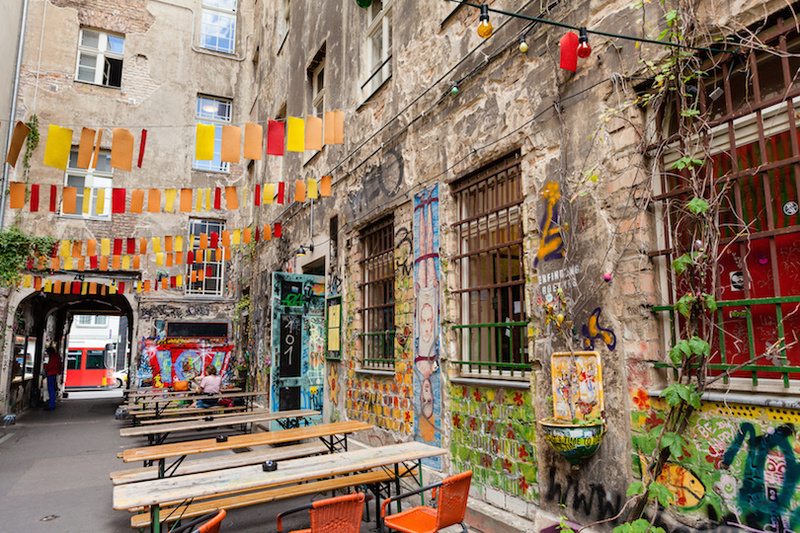 As a youthful, artistic hub, Friedrichshain is home to plenty of affordable cafes and quirky bars, just some of which are located in the Boxhagener Kiez. 1 Ostbahnhof – One of the main railway stations in Berlin. 2 East Side Gallery – The longest stretch of the Berlin Wall still in existence, painted by artists in 1991. 3 Oberbaumbrücke – Arguably the most beautiful bridge in Berlin and the only connection between Friedrichshain and Kreuzberg. 4 Karl-Marx-Allee – The main street of former East Berlin. It is a big avenue, featuring neoclassical East German buildings and fountains. 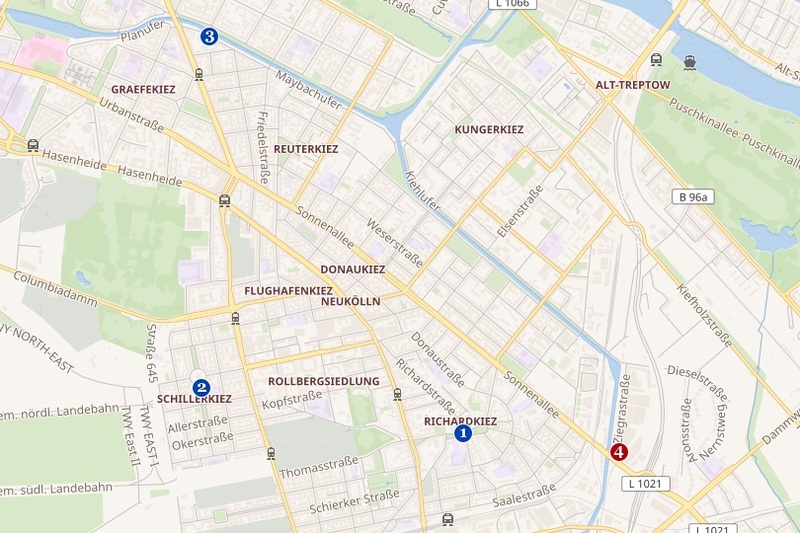 5 Boxhagener Kiez – A small park that is surrounded by bars, cafes and small shops. 6 Kreutzigerstraße – A street that contains colorful street art. 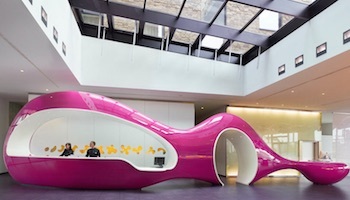 7 nhow Berlin – Interesting, futuristic furnishings and a pink-oriented color palette give the nhow Berlin a very cool vibe. Designed by famous interior designer Karim Rashid, the hotel’s 304 rooms boast stunning views and great amenities, including bathrooms with heated floors and rain shower heads. The nhow Berlin is also eco-conscious. It uses LED lighting, floors that are made of recycled wood and utilizes an innovative heating and cooling system. This hotel also has a sleek gym, an onsite restaurant and bar area, and free wireless Internet is available throughout the hotel. The nhow Berlin is about a 35-minute walk to Alexanderplatz and about 5 minutes from the nearest metro station. 8 Plus Berlin – First opened in 2010, the Plus Berlin is a wallet-friendly hostel that offers you a lot for your money. This hotel features an indoor swimming pool and sauna, a common room with a TV. For food, you can either take advantage of the Plus Berlin’s cooking facility in the common room or dine in the hotel’s Opera Bar & Restaurant. You’ll also find plenty of restaurants, as well as nightlife spots in the surrounding districts. Rooms range from private rooms to shared dorms. Free Wi-Fi is available in some rooms and in the public area, and the hotel offers a free yoga class for its guests once a week. Friedrichshain has plenty of wonderful attributes, but it can look grungy to those unfamiliar with the East German aesthetic. The abundance of graffiti on concrete buildings can appear unattractive, but locals know that it is an important expression of creativity and independence in a formerly communist area. Friedrichshain offers a huge array of budget eateries and hostels, but it is lacking when it comes to high-end restaurants and four-star hotels. Bordering Friedrichshain and similar in many ways is Kreuzberg, but it was a part of West Berlin rather than the East. Kreuzberg was a unique part of the city, serving as an isolated bastion of the west, surrounded almost entirely by the DDR. Today, Kreuzberg is known as one of the most eclectic parts of the city, and it is famous for its incredible nightlife. The district is packed with shopping opportunities, and the streets of Bergmannstraße and Oranienstraße are major destinations for shopping enthusiasts. Kreuzberg is often referred to as two distinct destinations known as SO 36 and SO 61. The area known as SO 36 is home to a number of immigrants, many with Turkish roots. For this reason, Kreuzberg is sometimes called Little Istanbul. It should be noted that while Kreuzberg is notoriously an impoverished part of the city, its artistic and eclectic leanings are helping to gentrify the city. Tourists also make their way to the area to explore world-class museums like the Berlin Jewish Museum and Topography of Terror, which examines Nazi history in Germany. 1 Checkpoint Charlie – The only border crossing between East and West Berlin that permitted foreigners passage. 2 Görlitzer Park – A park famous for the Turkish families barbecuing on summer weekends, failed contemporary art and relaxed atmosphere of students. 3 Jewish Museum – Designed by Daniel Libeskind with an excellent exposition on the Jewish life in Berlin and the impact of the Holocaust. 4 Topography of Terror – This museum documents the terror applied by the Nazi regime. Admission free. 5 Oranienstraße – A street full of shops, cafes and restaurants. 6 Bergmannstraße – Like Oranienstraße a street full of shops, cafes and restaurants, but in a more middle-class part of Kreuzberg. 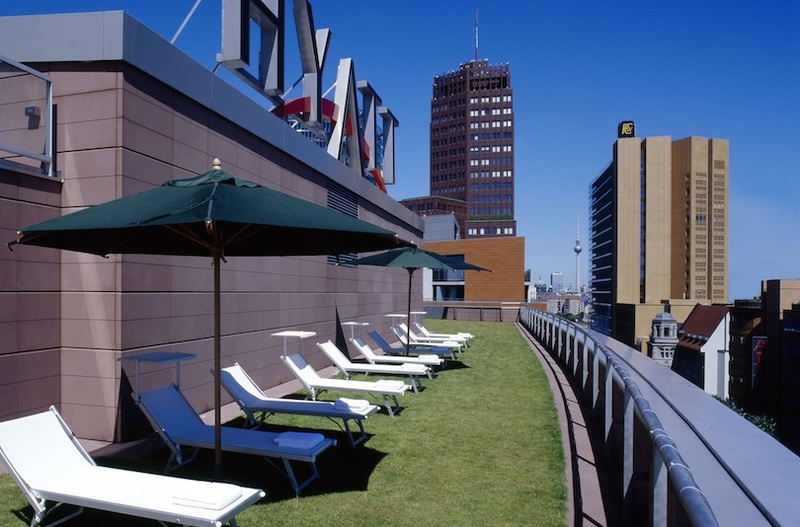 7 Movenpick Hotel Berlin – This modern hotel is centrally located and is situated very close to many of Berlin’s monuments, historical sites and Potsdamer Platz. There are 243 rooms and suites available in this hotel, including many that offer views of the courtyard. The Movenpick Hotel also features a gym, the restaurant Hof zwei, which boasts a movable glass roof, and a lobby bar. This hotel is just 300 feet from the Anhalter Bahnhof S-Bahn train station, which makes it easy to get around the city. If you book a room in this mid-range hotel, you will have access to the hotel’s free Wi-Fi Internet access. Rooms also come with a minibar. 8 Holiday Inn Express Berlin City Centre – If you’re looking for a budget-priced hotel that is centrally located near the Potsdamer Platz, you’ll want to take a look at the Holiday Inn Express Berlin City Centre Hotel. This hotel offers recently renovated rooms and new beds, as well as easy access to the Anhalter Bahnhof train station. It is within easy walking distance to Checkpoint Charlie, Bradenburg Gate and the Holocaust Memorial. Your stay includes a free buffet breakfast and high-speed Wi-Fi Internet access. 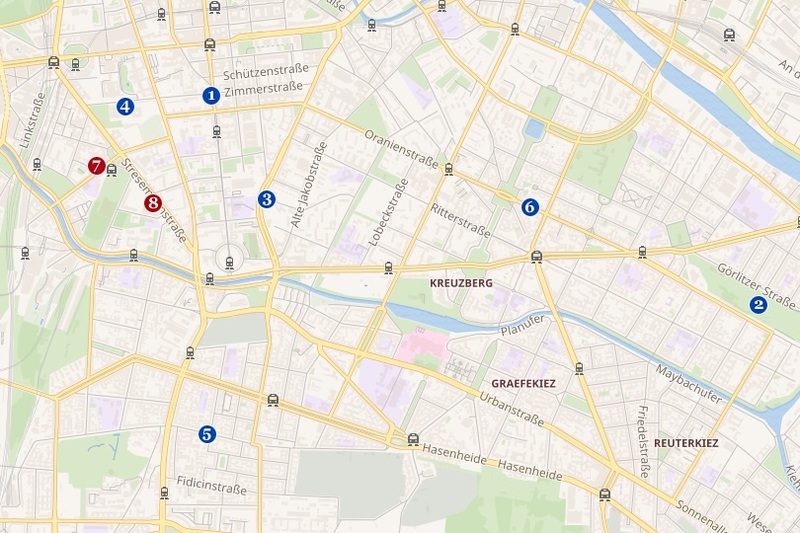 Kreuzberg is another district that can be very affordable, but it is lacking when it comes to high-end establishments. As a nightlife destination, this part of the city can be very noisy, and it is not recommended for those who want a peaceful place to stay or a family-friendly spot. Because of the high number of immigrants in Kreuzberg, some travelers feel unsafe, although it should be noted that crime statistics in the area are similar to those throughout the city of Berlin. The district of Charlottenburg is located in the western half of Berlin, in what was formerly known as West Berlin. Charlottenburg is the wealthiest and most commercialized district in western Berlin. Along the famous Kurfürstendamm avenue (Ku’Damm), which runs through it, you find the best concentration of hotels, restaurants, theaters, cafes, nightclubs, shops, and department stores. 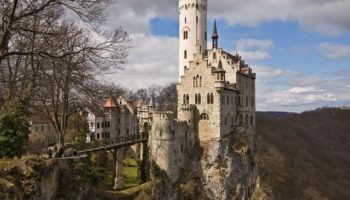 It is also the photography enthusiast’s dream destination, because there are beautiful palaces, quirky buildings and manicured gardens around every corner. Clean, attractive and high-end, Charlottenburg is the place to stay if you want to see the upscale side of Berlin. 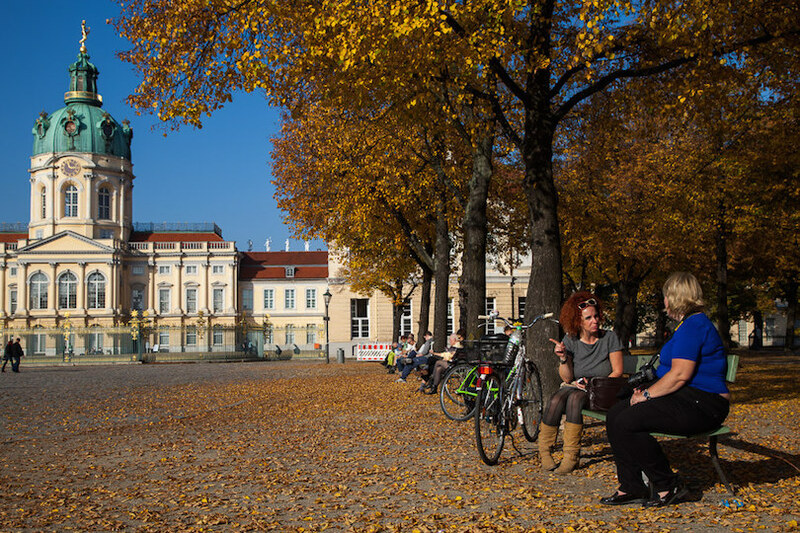 Arguably the biggest reason to stay in and explore Charlottenburg is because of the Charlottenburg Palace, around which much of the modern city was built. The palace was constructed in the 18th century, and it is decorated with magnificent baroque and rococo designs. In addition to the palace, you’ll be able to see the incredible Kaiser Wilhelm Memorial Church, which is one of the most iconic landmarks standing in Berlin. 1 Zentraler Omnibusbahnhof – Main bus station for long distance buses. 2 Kaiser Wilhelm Memorial Church – This church in Breitscheidplatz is a memorial to Kaiser Wilhelm, and one of Berlin’s most famous landmarks. 3 Schloss Charlottenburg – Built by Elector Friederich III in 1699 as a summer palace for his wife Sophie Charlotte, this estate is the largest palace in Berlin. 4 Kurfürstendamm – Berlin’s busiest shopping strip, especially towards its eastern end. 5 Hampton by Hilton Berlin City West – The Hampton by Hilton Berlin City West is located close to the Zoologischer Garten train station as well as to many shops and restaurants. This is a mid-range hotel that has many amenities, including a gym, complimentary breakfast and free Internet access in each room. The hotel is situated within easy walking distance to two popular attractions, the Berlin Zoo and the Kaiser Wilhelm Memorial Church. 6 25hours Hotel Bikini Berlin – If you like staying in hotels that don’t look like your typical cookie-cutter chain accommodations, then you’ll love the modern and fun 25hours Hotel Bikini Berlin. 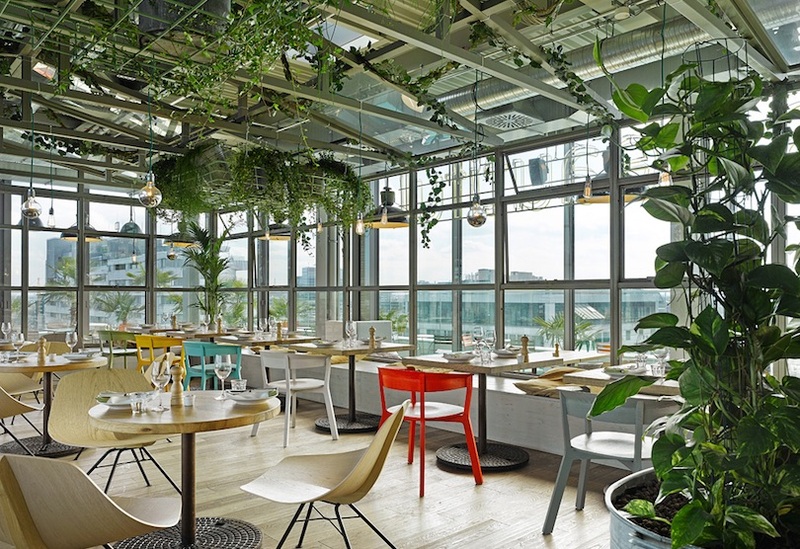 Located on the west side of Berlin, this midrange hotel features bright colors in its industrial chic rooms and stylish furnishings throughout. Some of the hotel’s 149 rooms boast views of the Berlin Zoo, while the other half have views of the city. 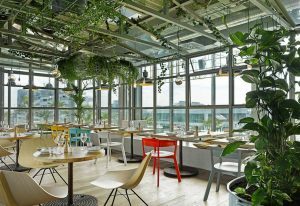 The 25hours Hotel Bikini Berlin has its own restaurant, the NENI Berlin, a bar as well as a rooftop terrace that boasts amazing views of the surrounding area. Your room rate includes free Wi-Fi and use of the hotel’s bikes. 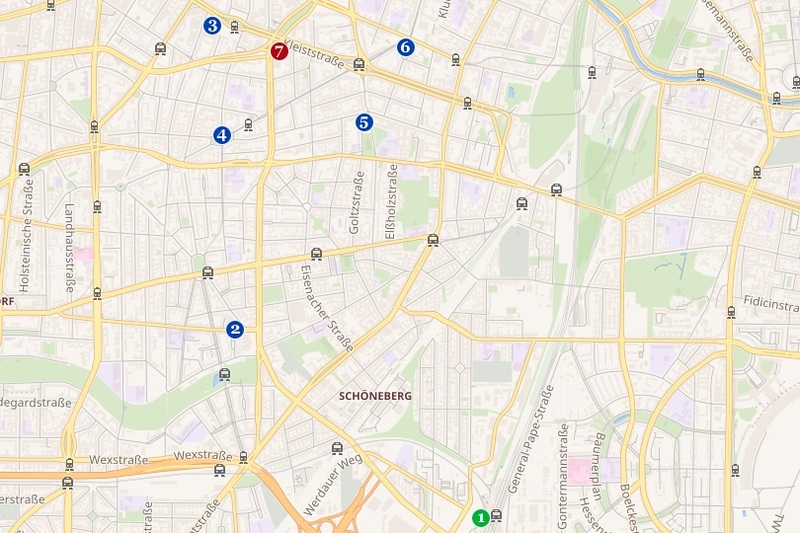 Charlottenburg has plenty of upsides, but there are a few drawbacks to staying in the area. At times, Charlottenburg can feel commercialized, since there are so many shopping centers in the area. It can also be very loud, thanks to an abundance of nightlife options. 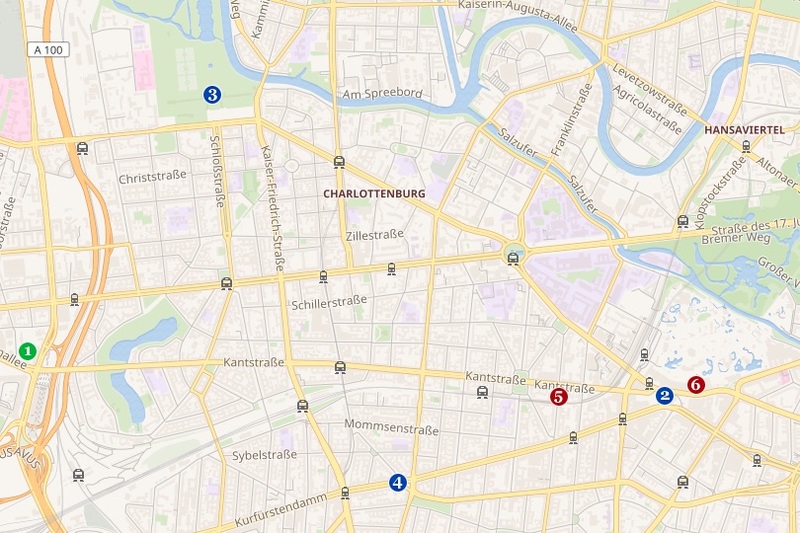 Those in search of peace and quiet in the evenings may want to avoid hotels in Charlottenburg, particularly over the weekend. Moabit is one of the four neighborhoods that makes up the City West portion of Berlin. Moabit is sometimes considered to be the central section of Berlin, because it houses the major train station, or hauptbahnhof, which is where trains arrive from throughout the rest of Germany and Europe. Moabit is a cultural melting pot that is home to residents coming from across the globe. This multiculturalism is reflected by the local cuisine, and you’ll be able to find restaurants serving everything from Italian to Turkish fare in the area. Moabit is also home to the Hamburger Bahnhof Museum für Gegenwart, an extensive modern art collection located in a former train station. Since this part of Berlin surrounds the city’s main train station, it is a popular place for hotel stays. You can easily walk from the station to most of the neighborhood’s accommodation options, and you’ll find everything from affordable hostels to upscale hotels nearby. 2 Hamburger Bahnhof – Museum for Contemporary Art located in former Hamburger Bahnhof train station. 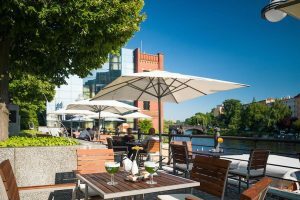 3 Ameron Hotel ABION Spreebogen Berlin – This hotel is centrally located on the river Spree on the grounds of a former dairy farm. The Ameron Hotel ABION Spreebogen Berlin is located in a quiet neighborhood and is within easy walking distance of the S-Bahn Bellevue station. This hotel also has two onsite restaurants, the Lanninger and the Alte Meierei. Each of the Ameron Hotel ABION Spreebogen Berlin’s rooms come with complimentary Wi-Fi and air conditioning, and some also boast beautiful views of the Spree. This hotel also has a sauna area and a fitness center that overlooks the river. 4 MEININGER Hotel Berlin Hauptbahnhof – Because this hotel is located right at Berliner Hauptbahnhof, Berlin’s Central Station, it is very convenient for travelers who want to use the train or sightseeing buses to get around the city. The MEININGER Hotel Berlin Hauptbahnhof is also within easy walking distance to the Reichstag and to Kanzleramt. Although this is a budget-priced hotel, it does offer some nice amenities, including a roof-top terrace bar during the summer months and a well-equipped guest kitchen where you can cook your own meals to save even more money during your travels. Rooms in this hotel range from singles and twin rooms to four-bed dormitories, and there is free WLAN available in the public areas. And if you’re traveling with a furry friend, it can stay with you for 10 Euros a night. A downside to staying in Moabit is that is can be very busy, particularly during weekday mornings and evenings as the trains fill up and the station is packed with commuters and tourists alike. There are also few sights in Moabit though attraction-packed Mitte and Tiergarten are relatively nearby. Schöneberg is a district in Berlin’s City West area where gentrification has already taken place, making it a popular destination that is packed with shops, restaurants and accommodation. Schöneberg is known for its historical significance. During the Cold War, Schöneberg was home to the city hall that served as West Berlin’s headquarters, and it is also where John F. Kennedy famously delivered his, “I am a Berliner” speech in 1963. This district is also where Willy Brandt and Helmut Kohl, both German political leaders, cheered the end of a divided city and celebrated the destruction of the Berlin Wall. Apartment complexes have largely been renovated, giving the area a charming, welcoming and pleasant appearance that can be a stark contrast to some of the more stark architecture of the DDR post-war in eastern Berlin. In particular, the Viktoria Luise Platz is home to some beautiful, stately older homes on a picture-perfect street. 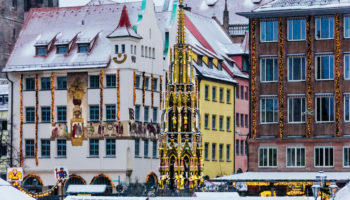 On Wednesdays and Saturdays, the place to be in Schöneberg is Winterfeldmarkt, where you can purchase a hot coffee and browse vendor’s stalls selling everything from fresh produce to local handicrafts. In addition to the bus system, Schöneberg is easily accessible and navigable thanks to an abundance of subway and tram stops. 1 Südkreuz – One of Berlin’s main railway stations. 2 Rathaus Schöneberg – The district town hall was the main town hall for West Berlin during the Cold War. 3 KaDeWe (Kaufhaus des Westens) – The largest department store on the European Continent at Wittenbergplatz has it all. On the weekends, this place can get quite crowded. 3 Viktoria Luise Platz – Features stately old houses and a good nighttime hot spot. 4 Winterfeldmarkt Market – Buy a coffee and browse amongst the stalls. 5 Zwölf-Apostel-Kirche – The 12 Apostles church. 6 RIU Plaza Berlin – This hotel enjoys a central location in the northern part of Schöneberg, making it a good choice for travelers who are planning to explore Berlin’s many attractions. The 300-room, mid-range RIU Plaza Berlin is close to Kurfurstendamm or Ku’Damm, arguably Berlin’s most popular shopping street. 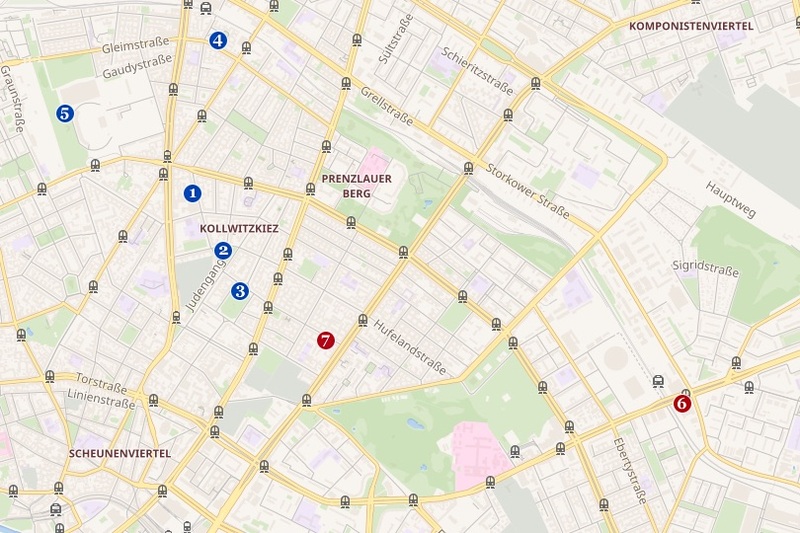 It is also close to the Wittenbergplatz and Nollendorfplatz subway stations and to the Zoologischer Garten train station. The RIU Plaza Berlin is also fairly new, having only opened in September 2015. All of this hotel’s rooms boast a mini-fridge, rain shower heads and free wireless Internet. This hotel also boasts an onsite restaurant and a fully equipped fitness gym. 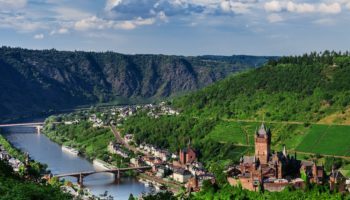 Compared to the other areas in City West, Schöneberg itself is lacking somewhat in major attractions. 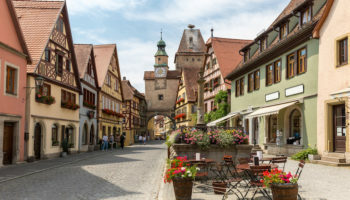 Since the neighborhood caters to an established, older crowd, Schöneberg can also be a little on the expensive side for younger or budget travelers. For those who are primarily visiting Berlin to see the major attractions in the Mitte, Schöneberg can be upwards of 30 minutes away by public transport, which might be prohibitive for those on a tight traveling schedule. Why Stay in Prenzlauer Berg? The trendy district of Prenzlauer Berg in East Berlin is known to locals as Prenzlberg, and it is an area with a relaxed, artistic and appealing atmosphere. 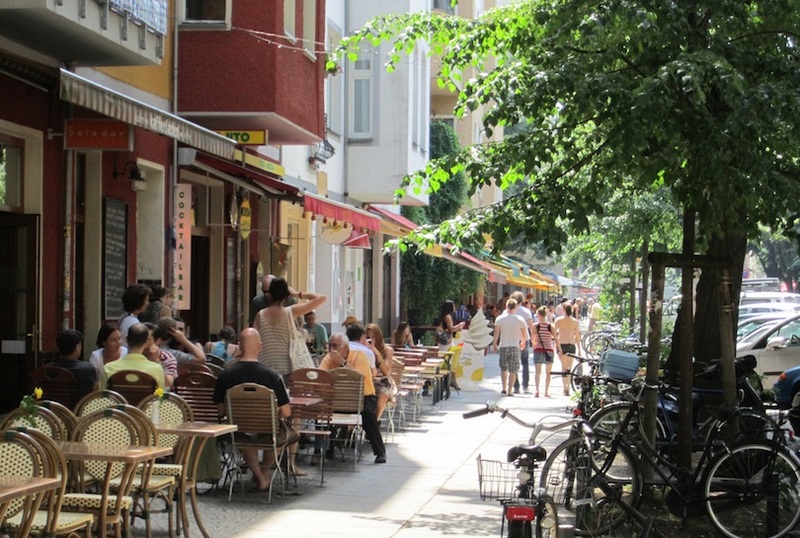 Prenzlauer is one of the most sought after neighborhoods in which to work and live in Berlin. You won’t find a long list of major tourism attractions in Prenzlauer Berg, but there are enough to make a visit worthwhile. One of these is the 19th century water tower of Berlin, which is the first and largest in the city. You may also want to check out the district’s synagogue, which is one of the largest in all of Germany, or the expansive Jewish cemetery. 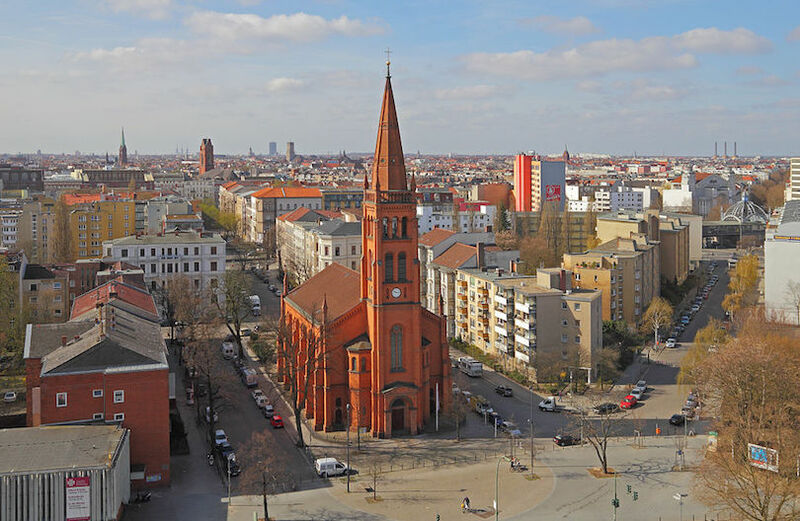 Architecture and history buffs won’t want to miss the Gethsemanekirche, which is a stunning Neo Gothic structure where residents met to protest and plot against the East German government. Prenzlauer Berg is home to a number of late-night clubs, lounges and bars. On the weekends, it is not unusual for the streets to be crowded at five in the morning as the last revelers leave these establishments. By day, travelers and young people spend time at the Mauerpark, which was once part of the Berlin Wall, shop at the stores along Oderberger Straße or relax at cafes near Kollwitzplatz. 1 Kulturbrauerei Museum – Find out how it felt to live in East Germany in this modern and well-presented exhibition. The museum is housed inside a beautifully restored former brewery. 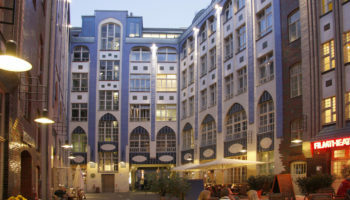 2 Kollwitzplatz – The epicenter of Prenzlauer Berg gentrification. 3 Wasserturm – Berlin’s oldest water tower. 4 Gethsemanekirche – This Neogothic church was the meeting point of one of the leading oppositions against the GDR regime. 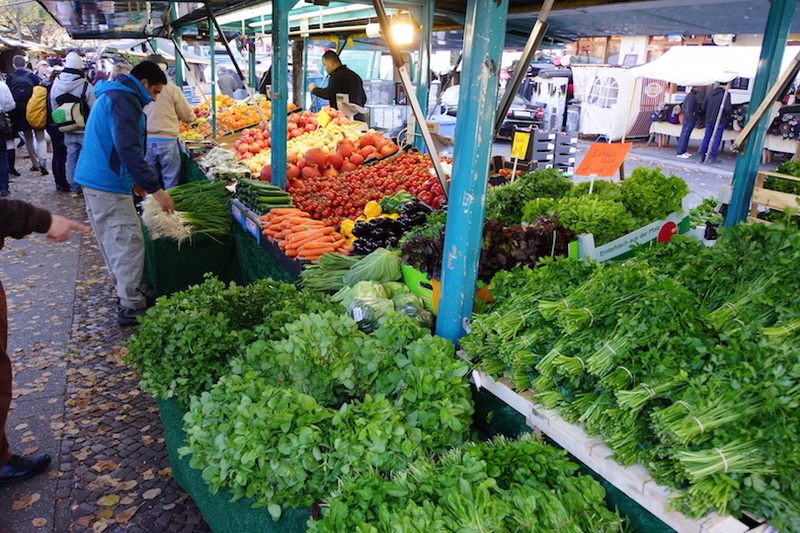 5 Mauerpark – A linear park with an unassuming vibe and a hugely popular Sunday flea market. 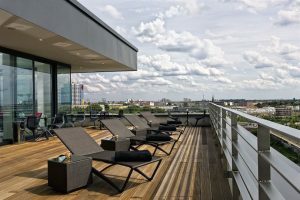 6 andel’s by Vienna House Berlin – Although this modern hotel is not located in the city’s center, it is situated close to a train station, and there is also a tram stop right in front of it. 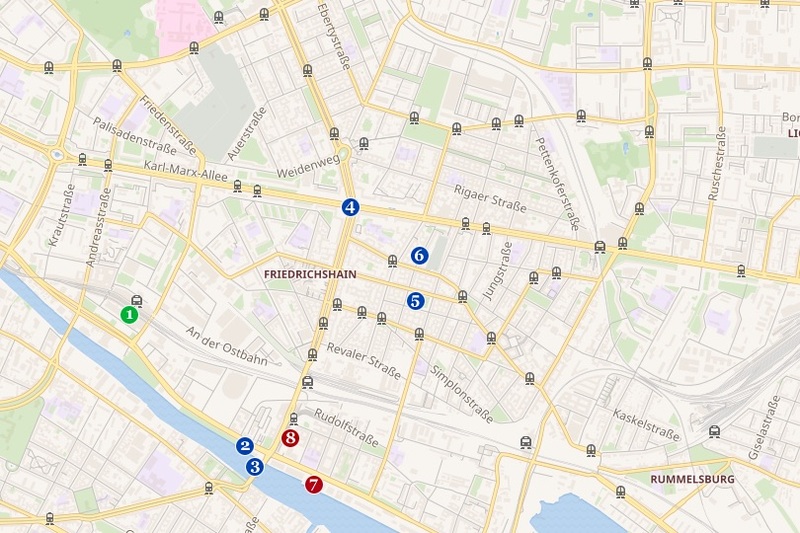 So getting to Berlin’s many sites and attractions is very easy and fast. For example, it only takes about ten minutes to reach Alexanderplatz. This mid-range hotel has two restaurants, including the Skykitchen, which has earned a Michelin star and has beautiful views of the city. It also features a spa where you can indulge yourself with special massages and treatments, as well as a fitness studio. Rooms are large and nicely appointed and include free high-speed Wi-Fi. 7 Hotel Transit Loft – This is definitely not your traditional hotel. Located in an old factory, the Hotel Transit Loft Berlin is a budget-friendly hotel where you can find single, twin as well as multi-bed rooms. The latter are perfect if you’re traveling in a group. And unlike some budget hotels, each room has a private bathroom. Your room rate at the Hotel Transit Loft includes a buffet breakfast and Wi-Fi access to the Internet. Traveling with a pet? No problem. Just notify the Hotel Transit Loft that you will be accompanied by a pet, and they can stay with you for free. 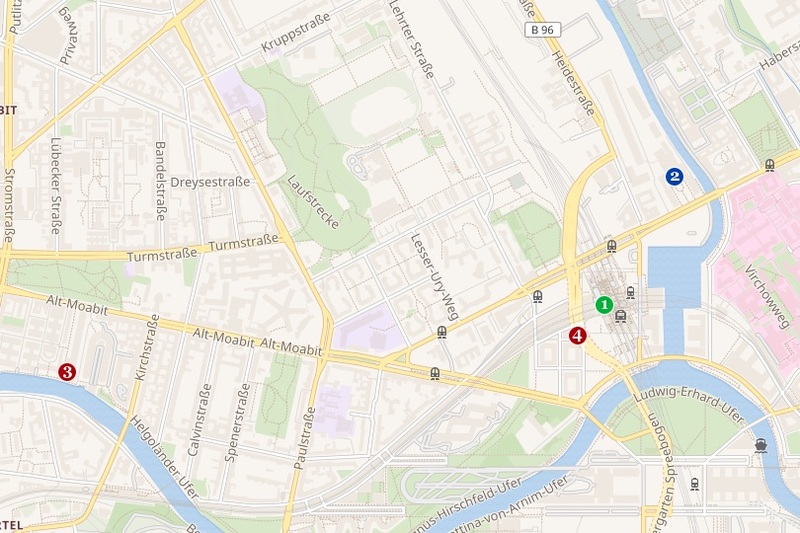 This hotel is also centrally located and is close to Alexanderplatz and Hackescher Markt. Tram and bus stops are all within easy walking distance. As Prenzlauer Berg increases in popularity, it has become a top pick for international travelers who want to be close to the Mitte but not pay for high hotel costs. As a result, however, some of the neighborhood can feel more touristy than authentic. While there is an abundance of eateries, nightlife and dining options, Prenzlauer Berg doesn’t have many major attractions. This means that visitors will have at least a short distance to travel by public transport to get to Berlin’s biggest landmarks and museums. Neukölln is a neighborhood in South Berlin that is found within a large district by the same name. Although Neukölln has a reputation for being a poorer part of the city, it is rapidly gentrifying as students and artists move into the area. However, Neukölln still remains an affordable part of the city. It is home to several attractions, and the transport system makes it easy to get to other parts of Berlin in a matter of minutes. The underground system, or the U-bahn, has numerous stops in Neukölln for the convenience of residents as well as tourists. If you’re on the lookout for great places to shop and dine in Neukölln, you’ll have plenty of choices. Spots like Schillerkiez and Richardplatz are major hubs for socializing, and they paint a genuine picture of life in South Berlin. For a crash course in Turkish culture, cuisine and heritage, don’t miss the incredible Turkish Market in Neukölln that draws in shoppers from across the German capital. 1 Richardplatz – Rixdorf used to be the name of northern Neukölln. Its very center was the Richardplatz. The area is now the only left representing what Rixdorf used to look like, with its former buildings still intact. 2 Schillerkiez – A residential grid based around the leafy Schillerpromenade, where you’ll find Neukölln’s best cafés. 3 Turkish Market – There are many Turkish markets in Berlin, but none is as known as the one at Maybachufer at the border with Kreuzberg. 4 Estrel Berlin – With 1,125 rooms and suites, the Estrel Berlin is the largest hotel in the city. It is especially convenient if you will have to conduct business at or will be attending an event at the Estrel Congress Center, which it adjoins. The Estrel Berlin features a light-filled atrium, a large wellness area and a fitness center that boasts state-of-the-art equipment. It is also home to four restaurants and three bars. 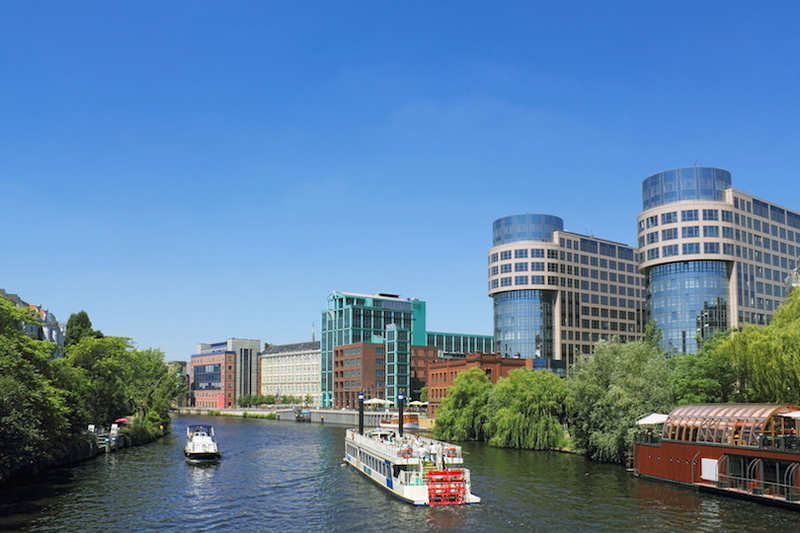 During the summer, the Estrel Berlin’s waterside garden is an excellent place to relax or to catch a river tour on the Spree. Rooms in this contemporary, mid-range hotel are spacious and access to Wi-Fi is free of charge. Neukölln is not a major tourism destination, and that is because it does not boast any significant museums or landmarks. As a result, there are a limited number of hotels and accommodation choices in the area. 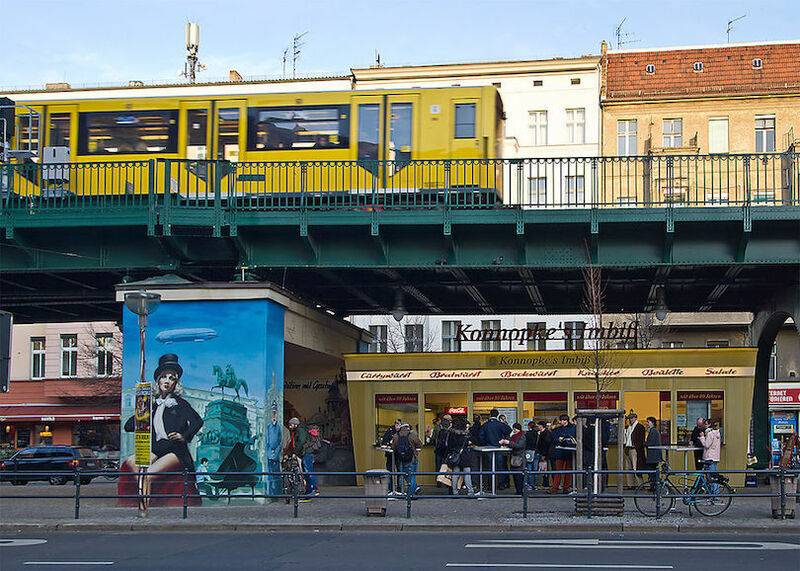 Many travelers enjoy coming to Neukölln for a day, but take the U-bahn to another district for their accommodation and to be close to more nightlife and attractions.